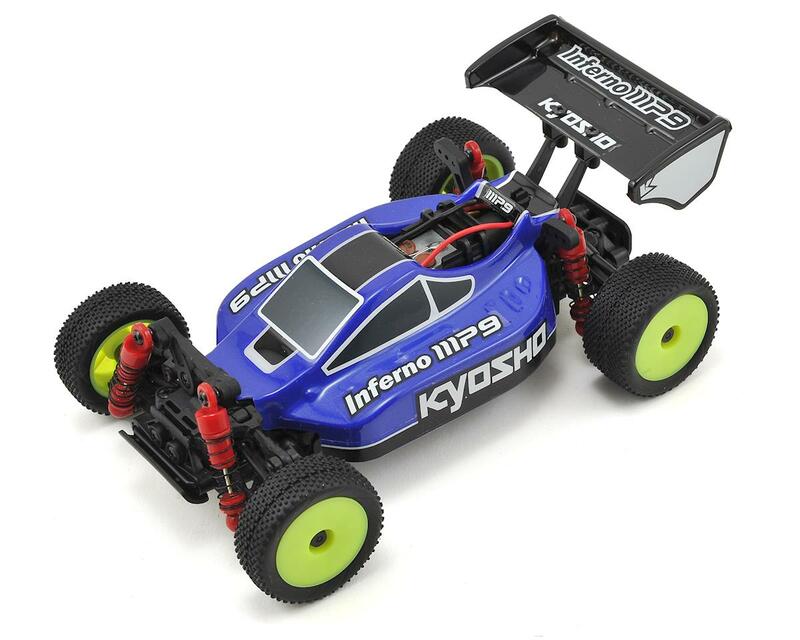 The Kyosho MB-010S Mini-Z Buggy Inferno MP9 TKI3 Readyset features a 4WD drive train supported by a 4-wheel independent double-wishbone suspension with oil shocks and a slipper clutch to protect the gears in a technologically advanced design that far exceeds any expectations of its palm top size. Precision components are protected within the shell structure of the chassis that keeps out dirt and provides optimal rigidity. 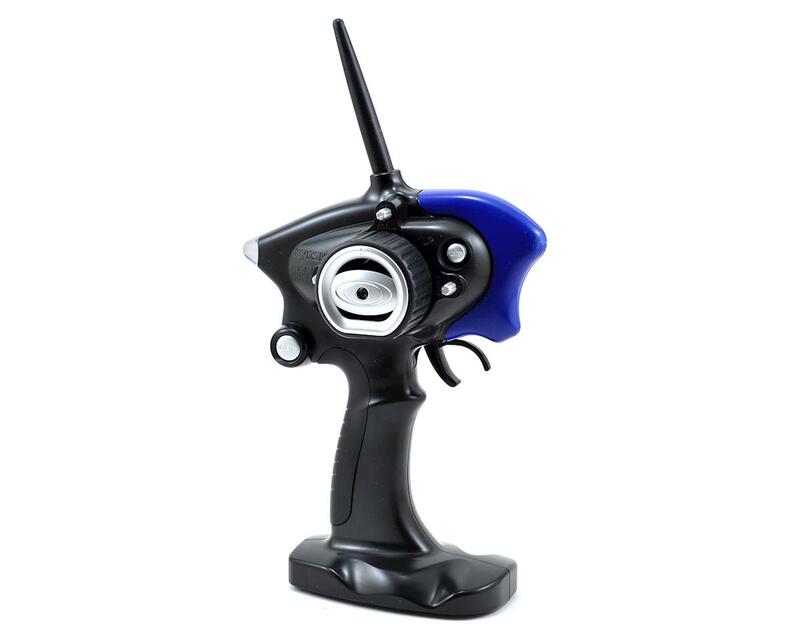 The 7-stage geared steering servo provides torque and precise response to deliver the MINI-Z’s renowned linear steering feel and control. Also, the Sports version is equipped with a specially designed split circuit board that allows easy manual adjustment of the optional gyro unit (KYOMZW431 - not included). 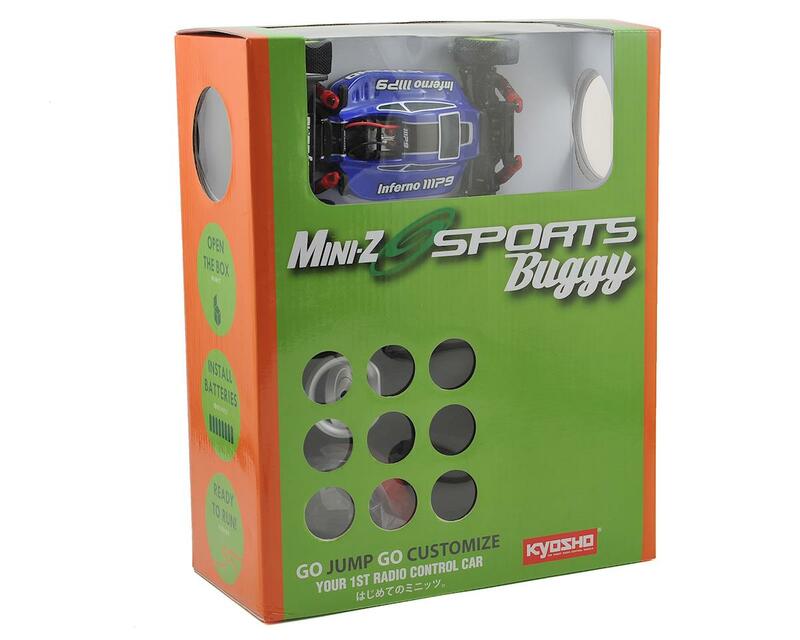 The included body is color printed in a uniquely styled design like the MINI-Z’s most popular high-performance MP9 model and also includes fluorescent wheels for high-visibility. 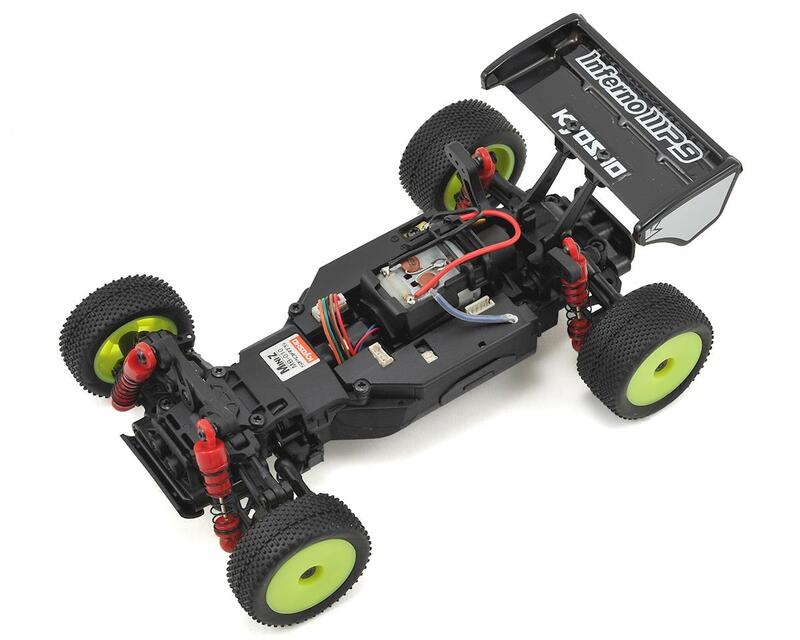 Just add batteries to start enjoying the serious R/C racing buggy performance of this factory assembled Readyset that makes an ideal first or even your second R/C car! This is an excellent mini buggy. I have not had the opportunity to play with a different branded "mini", but I can say that the Mini z line is incredible in every way possible. 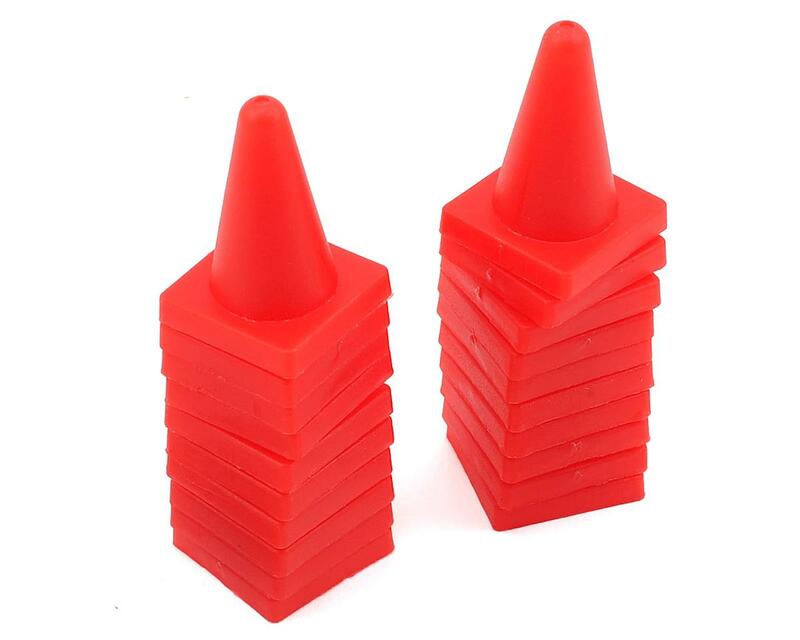 Ripping apart one of these is definitely just as (or more intense) than a normal 1/10. The buggy is super responsive and definitely quick for its size. Honestly they are probably not the best for a first timer, as the parts can be super small and tough to maneuver.